Happy New Year: From Me and My Friends…. Happy New Year: from me and my friends! 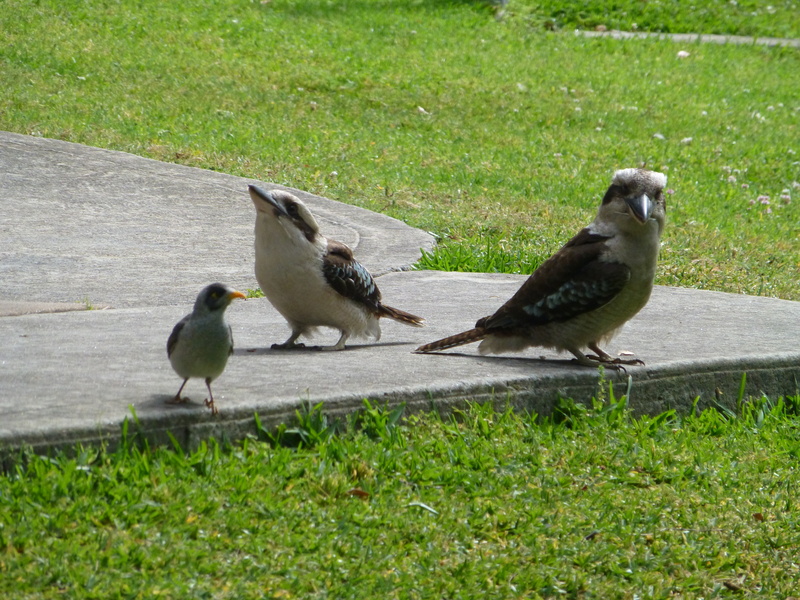 Here’s a snap of a small group, two Kookaburras and a Noisy Miner. On their behalf I wish you all a Happy New Year!